One of Newcastles highly acclaimed DJ's - Drox takes it all the way to West Africa to collaborate with the most successful Lagos-based female rapper Eva Alordiah on ‘Mercy’. 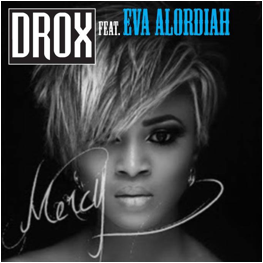 Known to the world as Drox, An(dr)we F(ox)ton's ‘Mercy’ has already entered into Music Weeks urban chart Top 10. A win, win for both Drox and Eva! Eva has a string of awards to her name and is definitely the biggest female rapper in Nigeria at the moment. The big new club cut from Drox delivers a bass filled House beat while Eva doesn't hold back on ‘Mercy’ which sees her pushing back at some of the frustrations in her life. With four essential mixes for the dance floor the track is already proving a favourite with DJ's in clubland. ‘Mercy’ the EP mix has been released via Helicopter Records, and is currently available on iTunes! Make sure you grab your copy! This is fire!